The madness of the moment, Nina released some lovely birthday photos that are gaining attention over the Internet. She flavored her image with a subtle political message to express her position against oppression and other diseases that fight against the Nigerian state. 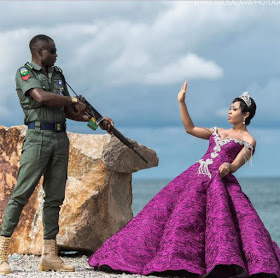 A policeman was seen trying to damage her with his gun in a beach environment. 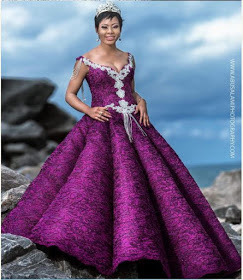 The native of the state of Imo has been described as the most photogenic lady of the Big Brother Naija 2018 ensemble.